Hyatt Centric Park City offers 120 deluxe guest rooms and one-, two-, three- and four-bedroom residences, ranging from 680 square feet to 2,700 square feet, designed to feel like your home away from home with fireplaces featured in every guestroom, residences offer a full size living room, dining and kitchen area with a full-size washer/dryer. The living space is an ideal gathering place to share stories at the end of the day. 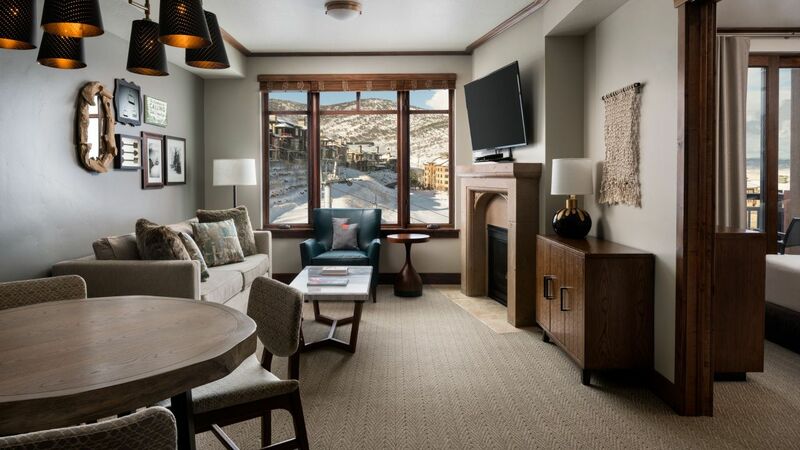 From the artwork to the textiles and furniture to fine finishes, the mountain contemporary design elements of the guestroom pay homage to Park City’s heritage as a former silver mining boomtown turned world-class outdoor destination. 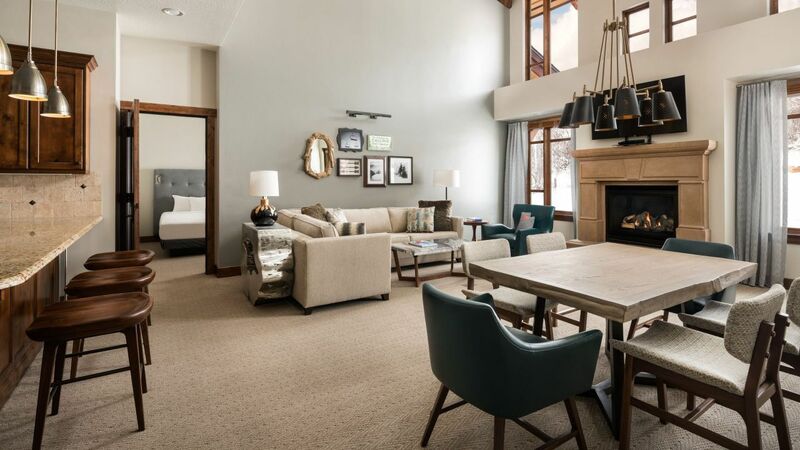 Indulge in this spacious 2,700-square-foot suite, which includes four private bedrooms, four spa-like bathrooms, five fireplaces, a full kitchen, and pull-out sofa. Rooms come with the option of one king bed, one queen bed, or two twin beds. This is a premium suite. See World of Hyatt program terms for upgrade eligibility. Your entire group can spread out in this 1,100-square-foot, two-bedroom suite, with two bathrooms, a full kitchen, and three fireplaces. Enjoy one bedroom with a king bed, one with a queen bed, and features including the pull-out sofa, balcony, and two bathrooms. This is a premium suite. See World of Hyatt program terms for upgrade eligibility. Your entire group can spread out in this 1,100-square-foot, two-bedroom suite, with two bathrooms, a full kitchen, and three fireplaces. Enjoy one bedroom with a king bed, one with two twin beds, and features including the pull-out sofa, balcony, and two bathrooms. This is a premium suite. See World of Hyatt program terms for upgrade eligibility. 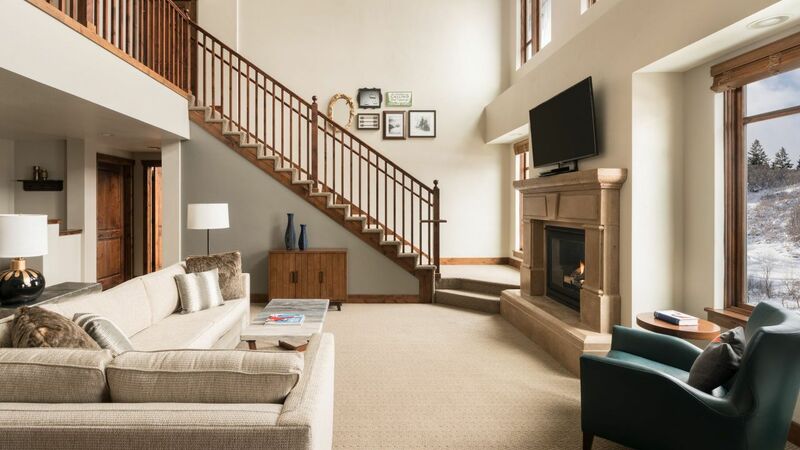 This luxurious 2,000-square-foot suite includes three private bedrooms, three baths, and four gas fireplaces, as well as a full kitchen, pull-out sofa, wet bar, and in-unit laundry. Guestrooms come with the option of one king bed or one queen bed. This is a premium suite. See World of Hyatt program terms for upgrade eligibility. 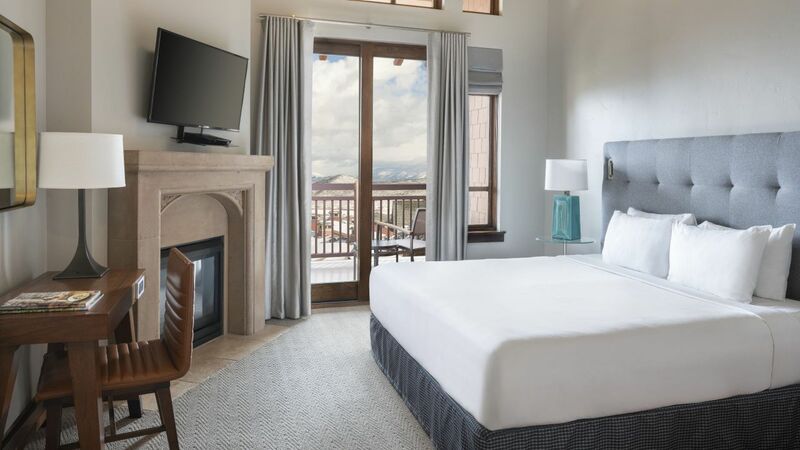 Enjoy the mountain views from this 980-square-foot, one-bedroom king residence, which features a full-size kitchen, in-unit washer/dryer, pull-out sofa, wet bar, and stone gas fireplace. You’ll have plenty of room for entertaining thanks to a separate dining and living area. This is a premium suite. See World of Hyatt program terms for upgrade eligibility. 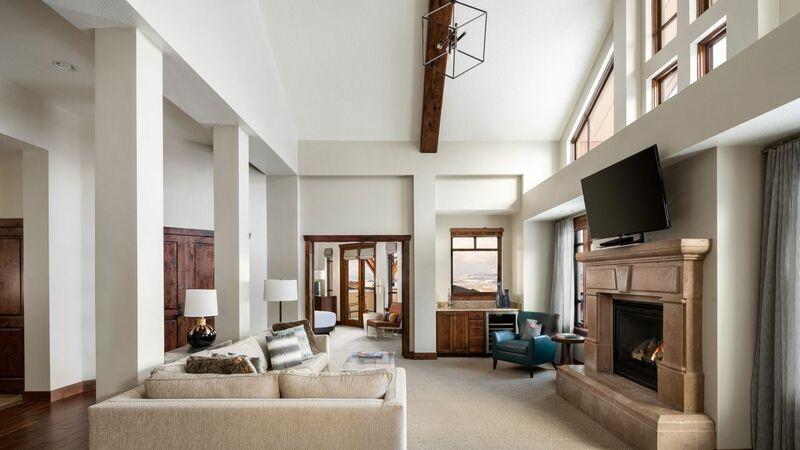 This luxurious, 900-square-foot suite boasts ample living space with a fireplace, full-size kitchen, balcony, wet bar, and second-level king bedroom for privacy. Modern amenities including the in-unit washer/dryer and marble bathroom will make you feel right at home. This is a premium suite. See World of Hyatt program terms for upgrade eligibility. Extra space for a larger famly this residential-style one-bedroom residence is complete with full-size kitchen, marble bathroom, in-unit laundry, wet bar, balcony, pull-out sofa, and one fireplace amid 935 square feet. 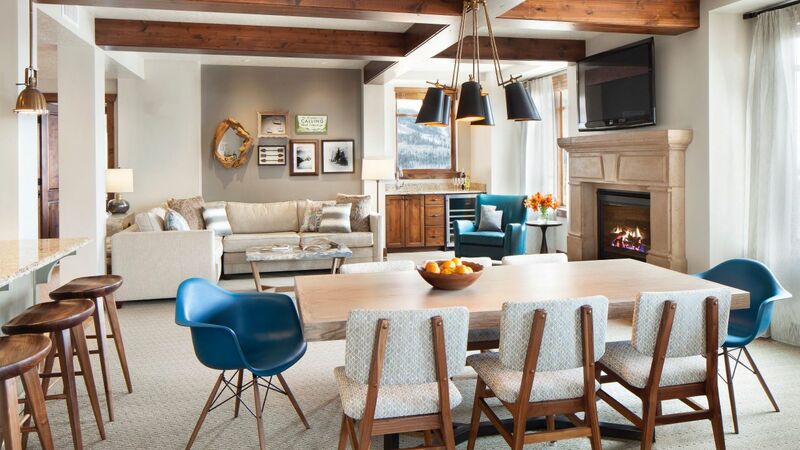 Contempory lodge-style décor and modern amenities will make you feel right at home. See World of Hyatt program terms for upgrade eligibility. Enjoy residential-style living in this one-bedroom suite, complete with full-size kitchen, marble bathroom, in-unit laundry, wet bar, balcony, pull-out sofa, and fireplace amid 680 square feet. 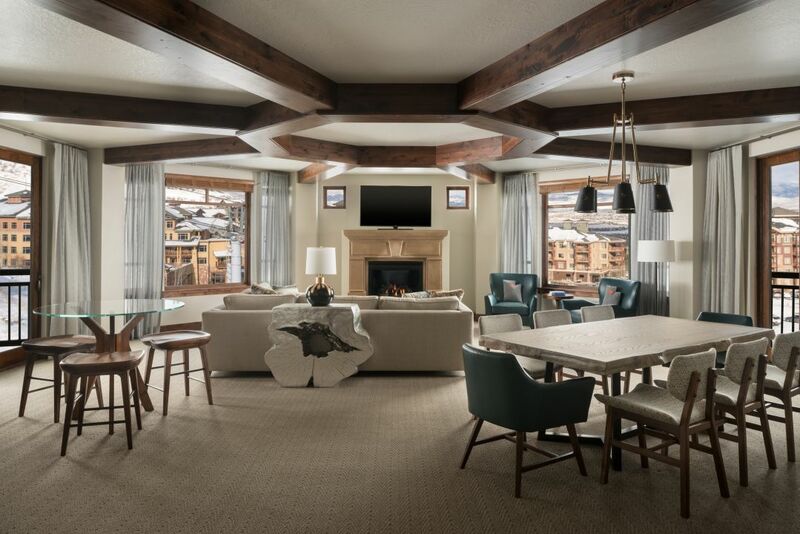 Mountain lodge décor and modern amenities will make you feel right at home. This is a standard suite. See World of Hyatt program terms for upgrade eligibility. Experience the fresh mountain air on your private balcony or deck. This 380-square-foot room is outfitted with one king bed, a stone gas fireplace, and kitchenette with sink, small refrigerator, and microwave. Experience the fresh mountain air on your private balcony or deck. This 380-square-foot room is outfitted with two queen beds, a stone gas fireplace, and kitchenette with sink, small refrigerator, and microwave. 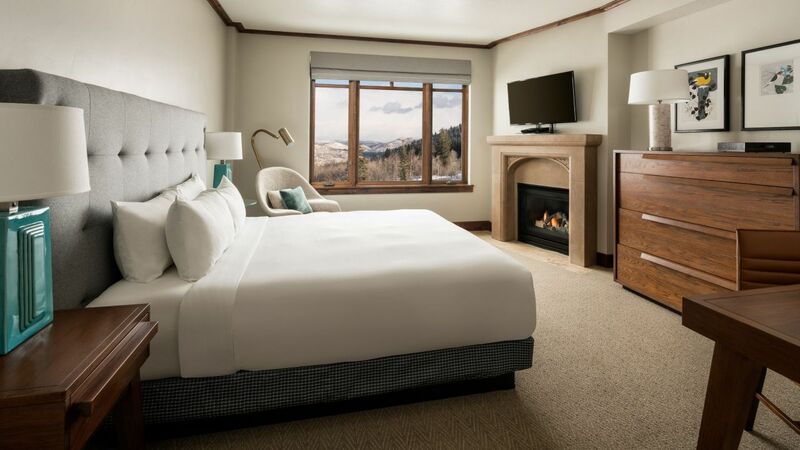 With an extra 45 sq feet of space, our deluxe rooms offer one king bed with a stone gas fireplace, kitchenette including minifridge, microwave, sink, and china for four guests. 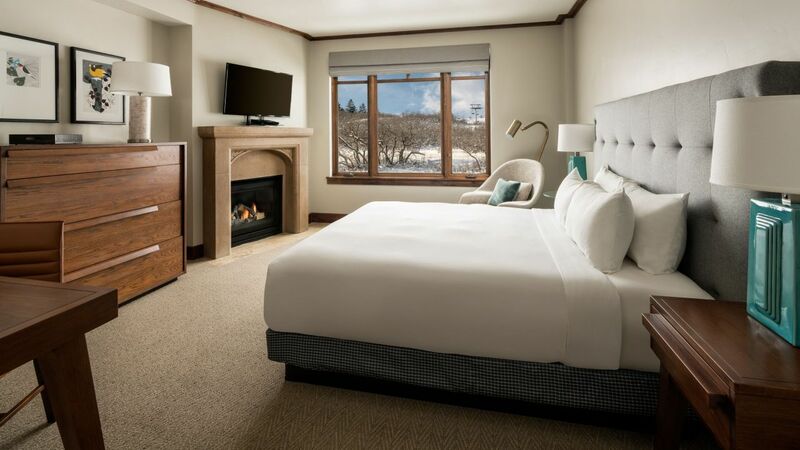 With an extra 45 sq feet of space, this deluxe queen room offers two queen beds with a stone gas fireplace, kitchenette including minifridge, microwave, sink, and china for four guests. Unwind within this 380-square-foot room, outfitted with two queen beds, a stone gas fireplace, and kitchenette with sink, small refrigerator, and microwave. 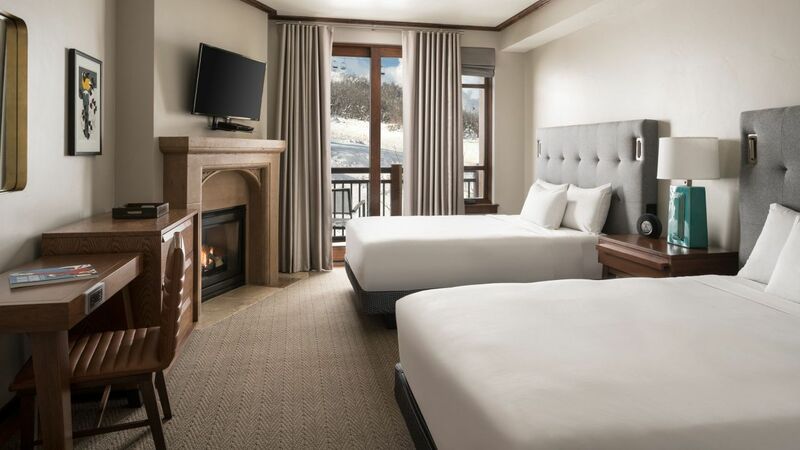 Enjoy contempory mountain lodge décor within the 300-square-foot ADA King Shower room, equipped with a stone gas fireplace, kitchenette, and accessible features.